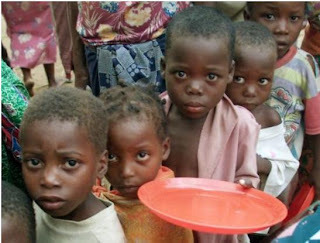 Cornerstone Blog: Cornerstone Far Exceeds "World Hunger Offering" Goal! Cornerstone Far Exceeds "World Hunger Offering" Goal! Thanks to your generous giving, and the Lord's wonderful provision, Cornerstone has gone way past our goal for this year's World Hunger Offering! The goal was a challenging $1,300 for a one day offering. But we have now received $2,221! Every penny will be sent to the World Hunger Fund of the Southern Baptist Convention. Eighty-percent is sent to our International Mission Board to be administered by SBC missionaries on the field around the world. It is used for projects that provide food and clean water to those in need. Twenty-percent is sent to our North American Mission Board, and is used here in North America for the same. Of course, these projects open many doors for the sharing of the Gospel of Jesus Christ! Thank you again for being such a giving congregation!